Just over a hundred years ago the music business experienced its first major crisis. The success of new gramophone records played on a hand-cranked turntable with an overbearing horn, sounded the beginning of the end of popular sheet music, the business’s most profitable product at the time. In their heyday, scores for sentimental tunes and patriotic marches printed between vivid illustrated covers, sold in tens of thousands of copies. The graphic products of Tin Pan Alley offered musicians considerable latitude. In an age before sound recordings, there was no authoritative version against which the player in the parlour could judge his or her performance. When the gramophone, and later the radio, became a standard feature of the home, the decline was not immediate: sales of sheet music were given a lift by the popularity of Hollywood musicals in the 1930s, for example. Nevertheless, the fate of sheet music was, it seems, sealed. Today, the music business faces another crisis as record companies and high-street retailers struggle to find ways to persuade people to pay for recorded music. The Internet has turned what the industry used to call ‘product’ into a stream of code for downloading. Artists try to turn fans into consumers by issuing deluxe versions of their albums, often packaging their LPs with weighty books and films. 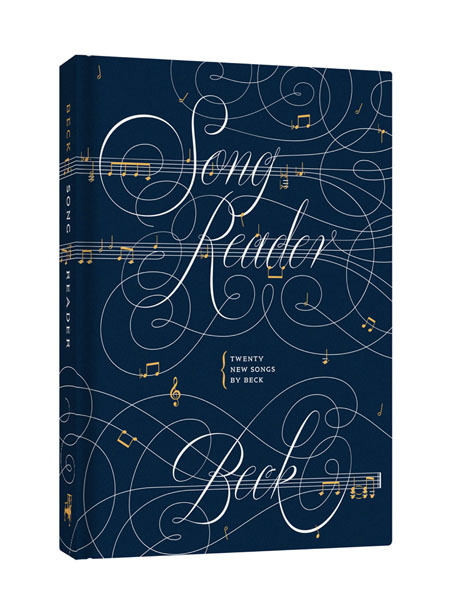 At the end of last year, American musician Beck Hanson issued his most recent album as a ‘Song Reader’, a collection of twenty songs. What makes his project unique (at least when viewed from the present), was that this album is only available as sheet music in a beautifully designed folding portfolio. 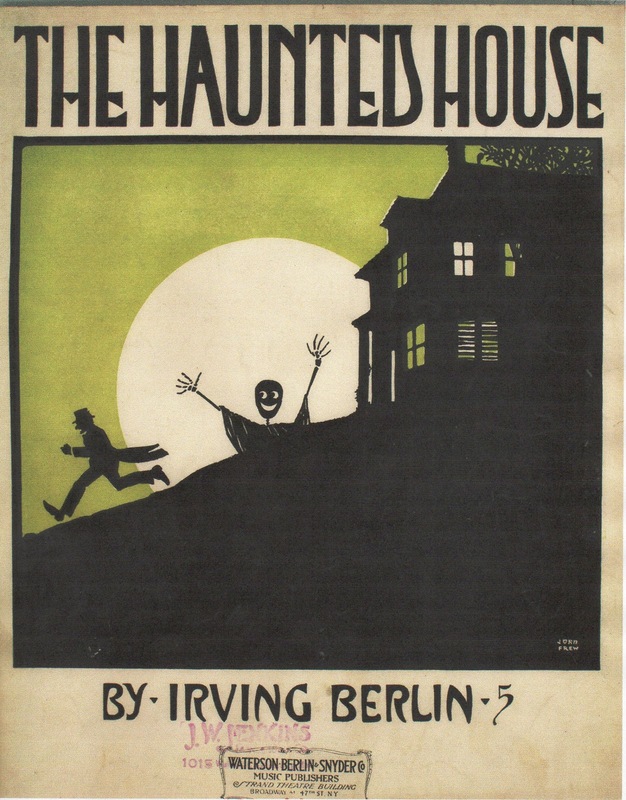 Each score features cover artwork by illustrators, often picking up the wistful mood of the songs. ‘The Last Polka’, an angular composition for piano in a musical genre which has not been fashionable for at least a century, and ‘Why Did You Make Me Care?’, a plaintive song for a jilted lover, are both packaged with illustrations from Peter Gamelen, a young British illustrator living in the US. The melancholic atmosphere which Gamelen brings to his drawings of moonlit rooms and empty streets in the dusk of Depression-era America lends itself well to Beck’s nostalgic project. Beck’s ‘Song Reader’ began life in conversations with Dave Eggers, the writer and founder of McSweeny’s, the marvelously idiosyncratic publishing house. But the project has deeper roots: Beck has a track record as pop musicologist. ‘One Foot in the Grave’, an early album, for instance, opens with a traditional black spiritual played on a steel-string guitar. But the ‘Song Reader’, as a musical and graphic project, is not an exercise in historical authenticity. Sensitive to the traditional form of sheet music – three or four pages contained within simple covers – Beck and art director, Walter Green (a McSweeny’s designer) also bring a touch of wry humour to the project. The back pages of each sheet features convincingly retrospective adverts for products for music lovers like the harmonically-tuned needles for seamstress and scores for ‘Instrumentals for the End of the World’. America’s love with its own ‘age of innocence’ – evident in Hollywood films and the hokey homespun rhetoric of her politicians – is gently mocked and celebrated at the same time. This places Beck in a long tradition of liberal artists including Bob Dylan, Robert Crumb, and Ben Katchor who find values and sentiments in the American past which are missing or distorted in the present. By only issuing the ‘Song Reader’ as scores, Beck invites musicians to interpret his songs. In fact, in a thoughtful preface on the challenges of writing music which depends on other people to play it, Beck makes an observation which chimes with the recent fascination with participation in art and design: ‘There’s something human in sheet music’ he writes, ‘something that doesn’t depend on technology to facilitate it – it’s a way of opening music up to what someone else is able to bring to it. That instability is what ultimately drew me to this project.’ Perhaps Beck writes off technology a little too quickly, for the Internet has provided McSweeny’s with the means for the players of these songs to share their recordings with the world. Its Soundcloud pages have been filling in the weeks since publication with dozens of different versions of Beck’s songs. Some are recast as ambient house or chamber music, whilst others follow the ‘trad.’ piano and ukulele arrangements provided in the ‘Song Reader’. Neither is more or less authentic than the other. Beck and his many ‘song readers’ have achieved together an exceptional union of the material world of the printed score and the dematerialized world of digital music.